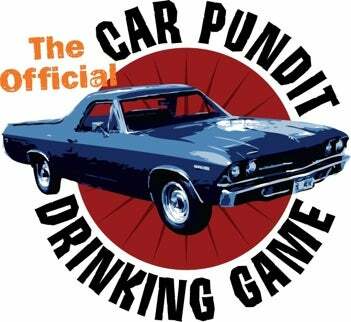 Time to fire up your Friday afternoon flasks again for the Official Car Pundit Drinking Game as CNBC has asked the boss to gab about the proposed Federal loan guarantees for the big domestic automakers. Tune in to "Street Signs" at 2:20 to watch as he repeatedly corrects the talking heads who will call it a bailout instead of a loan the taxpayers will probably profit from. This one promises to be full of financial industry talking points; We'll need extra intoxication to get through it, so drop some mean rules in the comments today. If you're new to our early afternoon "drinking game" — here's the rules — there are many like them, but these are ours.